On the occasion of the World Intellectual Property Day on April 26th, many well-known legal media highly praised the outstanding women practitioners who were knowledgeable, determined and progressive for their years of practice in the field of intellectual property. The Intelligeast (one of renowned New Media of legal affairs in China) especially commended 11 outstanding female lawyers who have been ranked in the Chambers Asia-Pacific Guide for three consecutive years in the field of intellectual property. Spring Chang, the founding partner of Chang Tsi & Partners, was the only female lawyer as the Tier 1 for the third year in a row. The female lawyers on the list were highly appraised by the Intelligeast, each of whom was believed to “have rich professional experience and extraordinary diligence which accounts for their significant influence in the field of intellectual property." Spring Chang has received honors throughout her career. Only in 2018, she has already gained several awards presented by famous legal media, including “Tier 1 Lawyer” by Chambers & Partners Asia Pacific Guide, the Client Choice lawyer in the field of trademark in China by Client Choice, the gold award for trademark lawyer in the WTR 1000 list, and the IP Star by Managing Intellectual Property. The Chambers Asia Pacific Guide made an evaluation of the female lawyers having been selected for the past three years, acknowledging that they had top-notch business experience and knowledge in the IP field, as well as a clear mind, logical thinking and acute legal awareness. Nancy Qu, the advisor, attorney at law and patent attorney of Chang Tsi & Partners, was listed in top 30 Women of Wisdom in the intellectual property field in 2018. The list was jointly made by China`s new media of intellectual property laws, including IPR Daily and PatSnap. 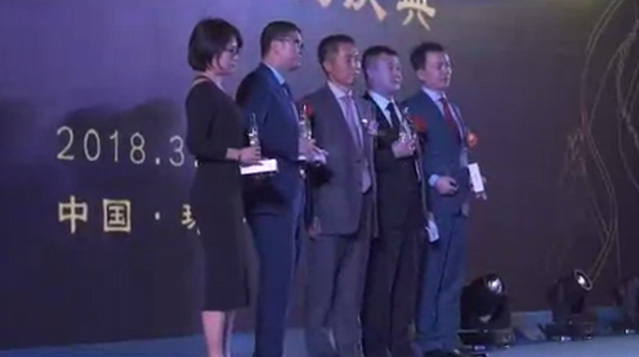 It also included other famous women legal practitioners, such as Xuejun Zhang, Vice President of the Intellectual Property Trial Division of the Guangdong Higher People’s Court; Qinghong Xu, the doctor, partner, US licensed attorney and US patent attorney in Lung Tin International Intellectual Property Agent LTD.; and Minnan Xie, head of the Guangzhou patent team of Wanhuida Peksung IP Group. Nancy Qu is particularly good at handling complex and difficult lawsuits concerning intellectual property infringement. She has successfully assisted several Fortune 500 companies in protecting their intellectual property rights, including Tencent, Midea Group, PetroChina, Carlisle Fluid Technologies, Honeywell International, 3M Company, Graco Fluid Equipment, Baidu, etc. Her years of practice have effectively safeguarded the legitimate rights and interests of many right holders, promoted the standardized development in the intellectual property field, and also made remarkable contribution to a fair and legitimate business environment.